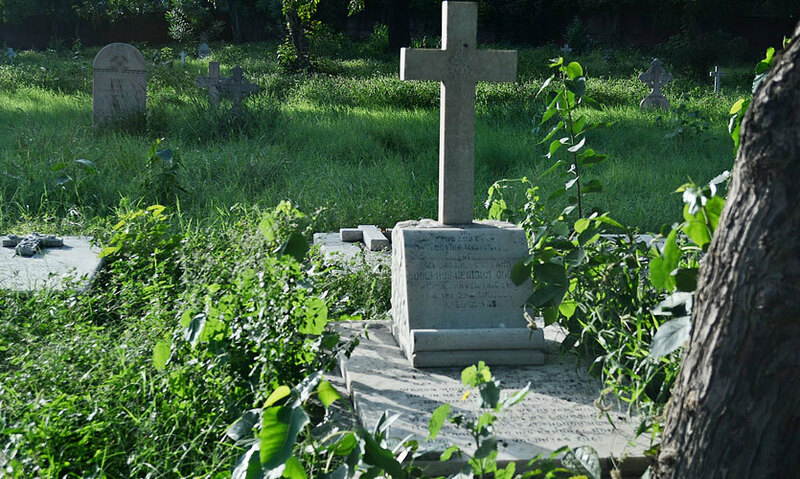 Brigadier General John Nicholson who led the Delhi assault during the 1857 Sepoy Mutiny died due to injuries on the 23 September 1857 & the cemetery is named after him. His grave which lies near the entrance is enormous and can be easily spotted as it has a white stone placed on it & is protected by a grilled fence around it. 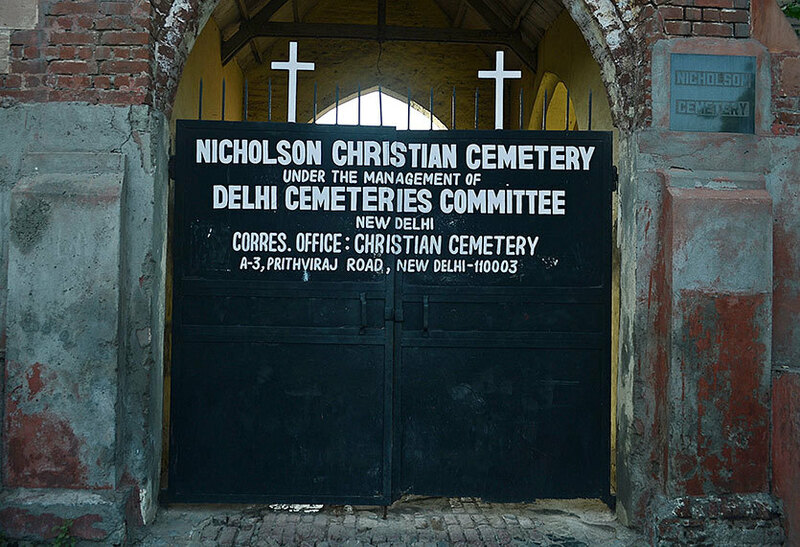 The Nicholson cemetery lies in North Delhi, very near to the Interstate Bus Terminal (ISBT) at Kashmiri Gate. 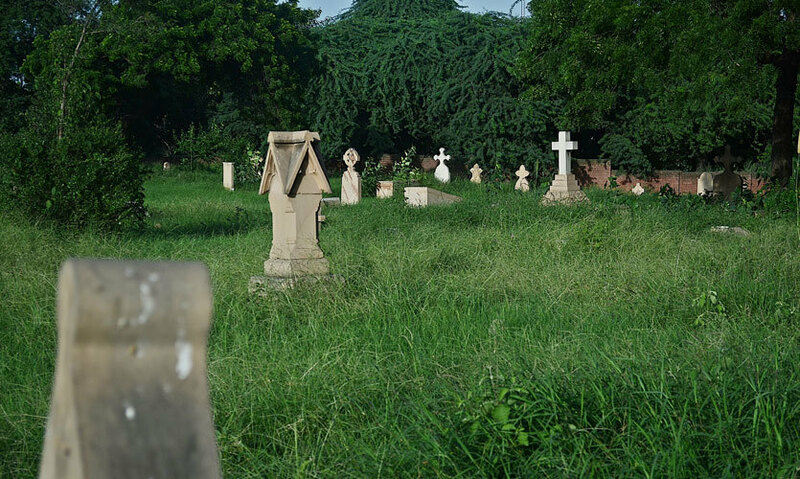 This cemetery is one of the oldest, dating back to the British era & is as big as two football fields put together. As you walk through the path, inside the Nicholson’s Cemetery, the first thing that strikes you is the calm & quiet found all around, especially if visited early in the mornings. Except for a few birds chirping, the entire place is engulfed in pin-drop silence. Huge tamarind trees and palm trees stand the test of time providing shade to the passerby while the jasmine, lily & marigold flowers lend a certain beauty to the place. 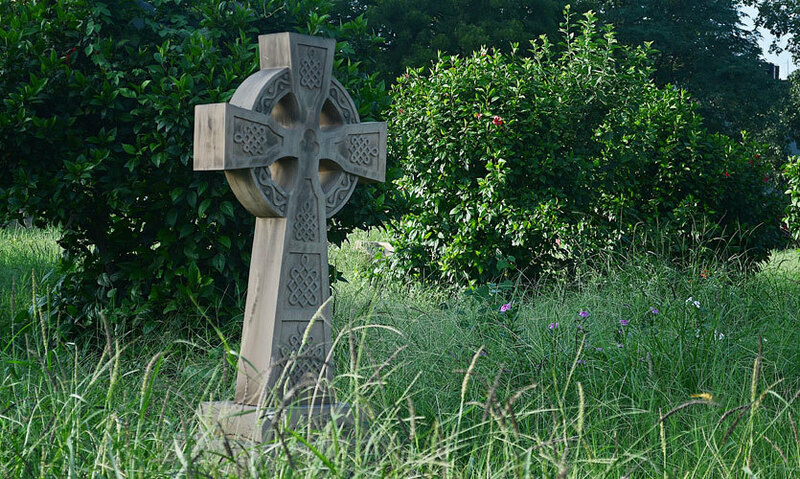 The graves that lie amid the overgrown grasses with names & bible verses engraved on the tombstones, each, have a story to tell. Some of the graves of the brave British soldiers, their wives & children are centuries old. As you walk on further, you can spot a small red house adjacent to the wall. The man, who lives there with his family, digs graves for his livelihood & generally takes care of the place. The gardener washes the gravestones, once in awhile, when loved ones who come there ask him to; in return is given a generous tip. The early morning calm gradually gives way to the familiar sounds of car horns as motorists impatiently drive through the busy Boulevard Rd, in front of the cemetery. The din of the noise outside is a total contrast to the lull inside. The Maharaja Agrasen Park is opposite this cemetery. A huge statue of Maharaja Agrasen, a legendary Indian King can be seen from a distance. According to the residents, the park earlier had a statue of Brigadier General John Nicholson till the 1970s when it went missing & instead the statue of Maharaja Agrasen was installed a few years later. The nearest metro station is Kashmiri Gate & the Exit Gate 3 lies closest. Visiting this place is an enriching historical & memorable experience so head on over!